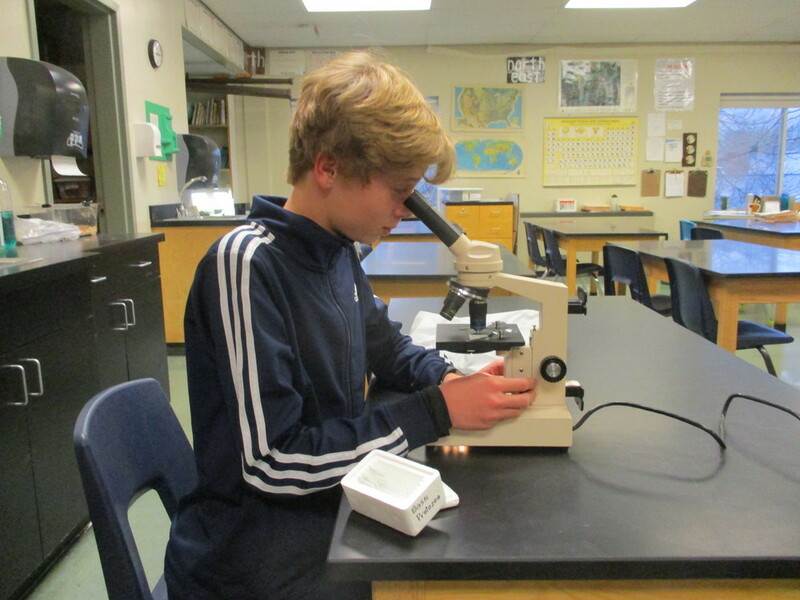 The seventh graders learned about cells and cell parts during the month of October. The kids developed proficiency in the use of the microscope. As they examined letters cut out of the newspaper, threads, and their own body hairs, the kids learned about the proper use and care of microscopes and how to make wet mount slides. This was followed up by labs during which the cells of leaves, onions, and their own cheek cells were stained and explored. By the end of the unit the kids used Microslide Viewers to learn about viruses and how these protein enclosed nucleic acids wreak havoc on the living world.